TRENTON, New Jersey (WABC) -- A mother in New Jersey is charged with endangering the welfare of her child after leaving the girl alone in a car that ended up getting stolen. 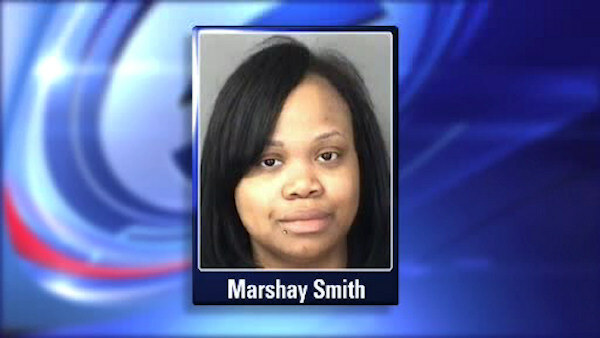 Police say 28-year-old Marshay Smith left her 5-year-old daughter in the back seat of her car in Trenton Tuesday while she was using an ATM. When she returned, the car had been stolen. After a brief search, police found the car abandoned in a nearby parking lot with the girl safe inside.